Direct - Masstube Plus Version 12.9.8.348 (full & Portable) -=teamos=- | Team OS : Your Only Destination To Custom OS !! 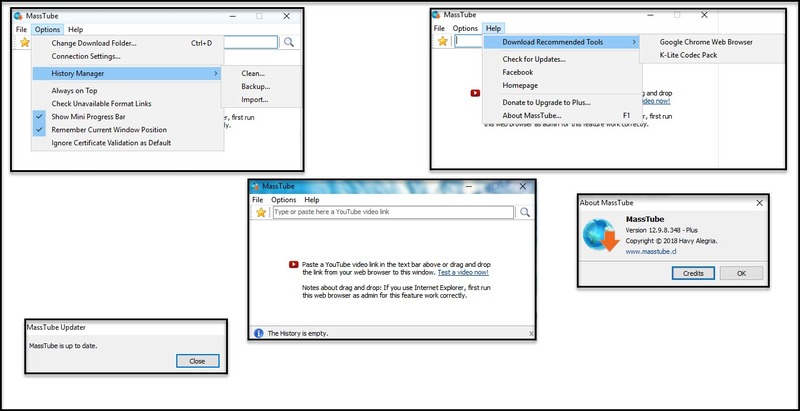 Mass Tube Plus is a lightweight and popular software utility designed to help users grab favorite video files from YouTube, Vevo and others in the easiest possible way and quickly download them to the local disk for offline playback. The application works smoothly and downloading videos without any error. Although MassTube does not have an impressive skill set, it is an efficient software solution for downloading clips and converting them into other formats on the go with minimal consumption of CPU, RAM, and other system resources. Aesthetically, it is not very impressive as it sports a simplistic interface and only a few options for downloading videos. 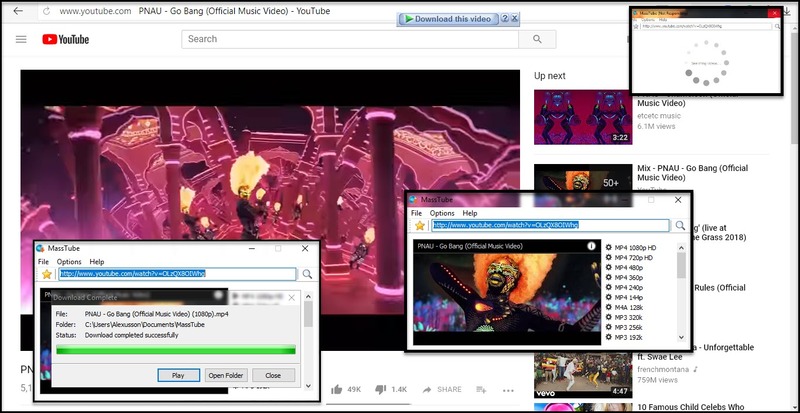 It is a simple-to-use tool explicitly built with a single goal in mind: to grab video files from YouTube, so it does not come equipped with other noteworthy features, such as a built-in YouTube browser or audio extraction mode. MassTube supports multiple output formats and the conversion of downloaded video files to FLV, MP4, WebM, and 3GP formats, as well as to select a preferred quality if there are multiple options available. It integrates a history manager that shows all the downloaded videos on task completion and can be cleared, exported or imported at a later time. 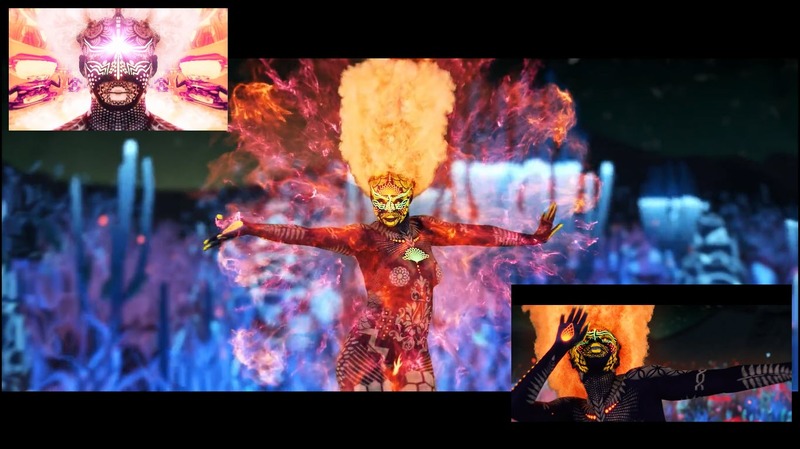 Download in MP4, 3GP, FLV, WebM, MP3, and other popular formats.